Which Beach In The UK Can You Find A Celebrity on? Which Beach In The United Kingdom Can You Find A Celebrity On? When we think of Celebrities on a beach we think of St Kitts, Mustique, the Maldives, Anguilla and Necker Island. Picture perfect bodies hit the daily tabloids and Britain seems to drool over the glamour, perfection and the exotic nature of these far away shots. 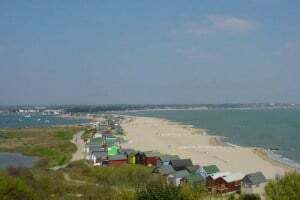 Celebrities however can be spotted much closer to home on the sandy, white beaches of Britain enjoying a refreshing dip in the salty ocean or sipping cocktails at a local café. Our most famous beach dwelling “celebrities” or, more correctly, Royalty, would be in Anglesey, North Wales. Anglesey is home to the Duke and Duchess of Cambridge as well as the spectacular walk known as the Anglesey Coastal Path. With breath taking views of the ocean this 200km path takes 12 days to complete and starts inland. The local Newborough Beach has long been home to naturists who enjoy the picturesque surroundings and that ‘back to nature’ feel. This beach was also the setting for the film: The Clash of the Titans. The beach boasts blonde sands and shallow blue oceans, making it an idyllic location for just about anything. Northern Wales seems the perfect place to spot a royal, a titan or even a naturist! West Wittering Beach in Chichester is a favourite destination for many a family. It has one of the Premium Blue Flag beaches in Britain, unspoilt with a high water quality making this a ‘must see’ Beach destination. The spectacular surroundings have attracted the likes of Kate Moss who has been seen walking through the crisp clear waters. It is also home to the Rolling Stones rocker, Keith Richards who owns an estate next to the beach. Perfect for a cheeky bit of celeb spotting. The list would not be complete without the notorious extravagance of Sandbanks in Poole. Some would say, Sandbanks is home to Britain’s most beautiful beach. It has some serious celebrity clout and boasts many famous residents. So who is living in this millionaire’s playground? Sandbanks locals include soccer manager Harry Redknapp, ex-England footballer Darren Anderton, cricketer Geoff Boycott and ex-Formula 1 team boss Eddie Jordan. Noel Gallagher and Harry Rednapp have places there and it is reported that Jamie Jamiroqui is often spotted in the area. If not on the beach, Cafe Shore plays host to other famous residents. Have you ever spotted a celebrity on a British beach? C’mon, tell who and where!